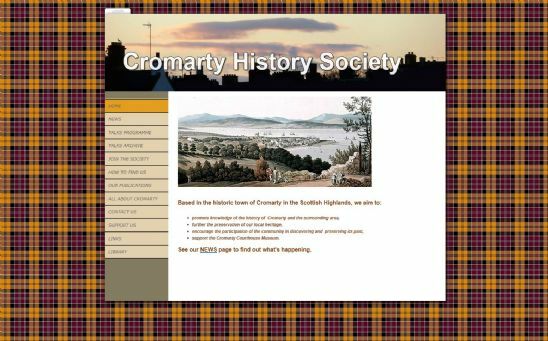 The Cromarty History Society website is to promote knowledge of the history of the Highlands town of Cromarty and the surrounding area. They are looking to preserve local heritage and also support the Cromarty Courthouse Museum. The History Society also regularly give historical talks. As the website is very much focused on a Scottish town, the use of a .scot domain name is appropriate.